Cumnor House prides itself on encouraging a genuine love of learning. From a very young age, they support their children in their development of a sense of curiosity, open-mindedness, perseverance, objectivity, reflection and critical thinking. This thirst for growth and knowledge is one that stays with them throughout their school years, meaning they enter each stage of their lives best prepared for the challenges and opportunities ahead. Please join us for our Open Mornings, running throughout 2019. These Open Mornings are designed to give you and your child a real sense of a ‘Day in the Life’ at Cumnor House. 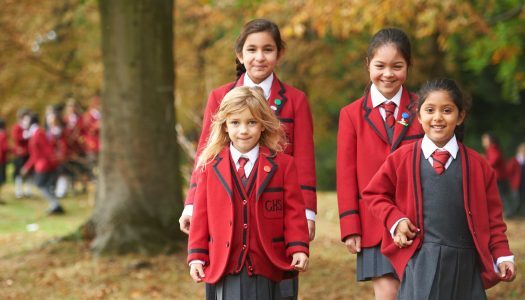 You will meet our Heads, our Pupils, our admissions team and have a tour of the school itself. We look forward to welcoming you. Please click on the link below to see upcoming dates. Come and see first-hand what makes our school so special! After your tour, the Headmistress, her Senior Team and other members of staff will be available for questions. A personal tour will give you the opportunity to meet some of the children, speak to the teachers and get a general feel for school life here. Our Headmistress, Mrs Amanda McShane, at the Girls’ School will be available to answer your questions and to discuss your child’s educational career in greater detail. We have two private co-educational nurseries on two separate sites. Both Ofsted and ISI say Cumnor House Nursery is “outstanding”. Our team will be delighted to show you round our term time and year round settings. 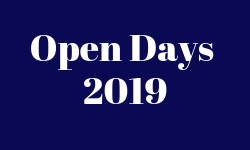 To book a place on an open day or a personal tour, please follow the link below. In 2017, 50% of those who applied gained Grammar School places. Amanda was previously Deputy Head, and Head of Science, at Old Vicarage School, Richmond, for 9 years. She was also Head of Science at a boys’ prep school. She worked in a large state primary school as a senior leader, Head of Science and Head of Music before moving into the independent sector. When I was 11 years old I had a teacher called Mr Millar; he inspired me because he knew me and he wasn’t satisfied when I produced anything that was not the best that I could do. He taught me the joy, satisfaction and pride that can be gained from being the very best that you can be. I like to think that through my years of teaching, I have known the pupils in my care and encouraged them in a similar fashion. Getting to know my pupils. A successful school is a place where I want to be, somewhere where pupils are happy and engaged learners, where everyone is working together to do the very best for each child. A school where teachers are inspired by, and inspiring to, those around them. Success is where children are not afraid to make mistakes - they recognize that they will learn from them, a place where we encourage pupils to go beyond their comfort zone and take risks with their learning and as a result, they achieve more than they ever thought they could. I want the pupils who leave Cumnor House School for Girls’ to be resilient young women. I want them to be brave enough to seize every opportunity that comes their way, to acknowledge that things will not always be easy but to have a go, to take the interesting route rather than the easy road. Our girls will face a great deal of challenges as they travel through life and they will need an inner strength to deal with whatever is thrown at them; we cannot teach and prepare for every eventuality but we can give our young people the skills upon which they can draw to help them through a difficult situation. Happy. Caring. Vibrant. Challenging. Opportunity. Looking for a tutor near Cumnor House School?